This statistic presents the frequency of internet users in the United States accessing Facebook, sorted by gender. 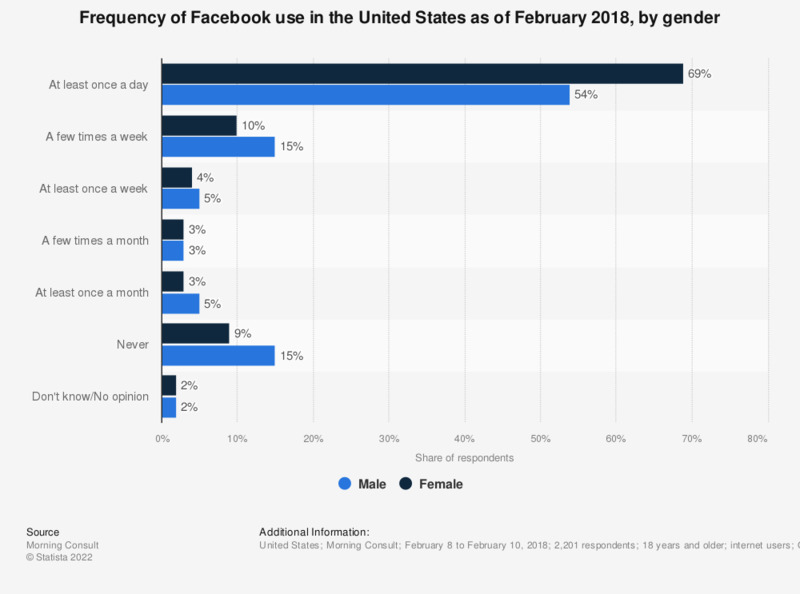 As of February 2018, it was found that 69 percent of female U.S. online users accessed Facebook at least once a day, while only 54 percent of male respondents reported the same. Question: "How often do you use the following social media platforms? Facebook"